If you can’t tell yet, I’m a fan of her work, and after an absence from dramaland, I think her return with this drama is a triumph of sorts. Not many can pull off whimsical and playful effortlessly. Just about every trendy rom-com released over the past couple of years are examples of feigned, try-hard quirk of varying degrees of success. Heart to Heart isn’t completely free from affectation, but the show is full of carefully considered details that thankfully, fall on the right side of good taste, and with a steady hand behind the camera like PD Lee’s, it’s delivered in a delightfully charming, rather than artificially idiosyncratic, package. 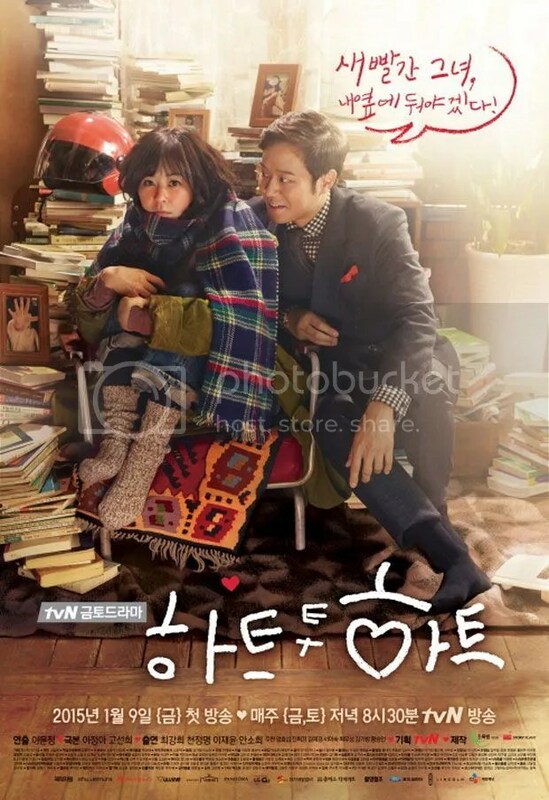 A great example of this comes early, in episode 1 where we follow our reclusive, painfully shy heroine Choi Hong Do (Choi Kang Hee) as she scurries through neighbourhood back lanes to deliver food to police detective Jang Doo Soo (Lee Yae Joon), a man she’s been crushing on for seven years. The drama puts us into her shoes, and so we get point-of-view shots of Hong Do peering around corners inter-cut with wide-shots that give us a sense of geography, establishing not just character but the terrain of Hong Do’s neighbourhood. It’s a trek she makes everyday without fail despite it being so hard for her. I’m reminded of Go Eun Chan’s milk deliveries in the early morning quiet of Seoul in PD Lee’s previous drama Coffee Prince, scenes that on the surface seem throwaway but do so much to flesh out our heroines’s lives. I adore scenes like these. It’s all in the details, I tell you! PD Lee Yoon Jeong also has a knack for getting terrific performances from her cast. It’s obvious why Chun Jung Myung was cast. Physically, his gentle eyes and non-threatening face go a long way towards making our hero, the aforementioned suicidal psychiatrist Go Yi Sook, go down a little easier. On the page, Yi Sook bullies and barks, and is pretty unbearable even by K-drama male lead standards, especially in the beginning. But in Chun Jung Myung’s hands, he’s sympathetic even as he behaves awfully as a doctor and engages in all manner of asshatery in his pursuit of Hong Do. It helps immensely too that Yi Sook falls hard for Hong Do and showers her with affection, albeit with the gusto and the delicacy of an attention-seeking, clueless bulldog. Choi Kang Hee’s Hong Do is plain adorable, and hers is a character you root for easily. Despite her condition, Hong Do is imaginative, smart and frank. Her struggles with her illness are genuinely heart-tugging and Choi Kang Hee makes her feel like flesh-and-bone. 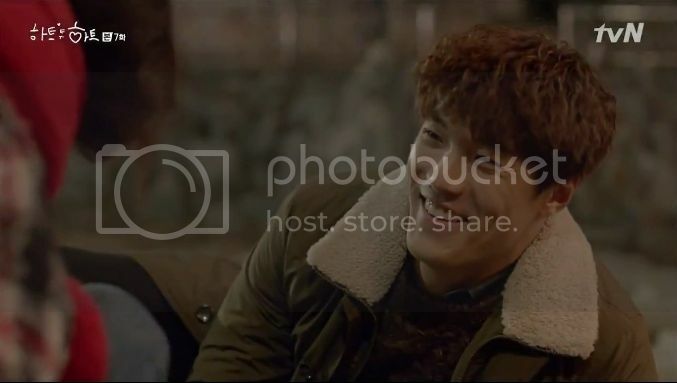 Lee Jae Yoon imbues detective Doo Soo with a genial, easy-going machismo. A word of warning though: he’ll probably give you a severe case of Second Lead Syndrome for much of the drama’s early episodes. But it’s okay, because it’s precisely what the drama intends. It’s mischievous and a little unpredictable, and it’s at its best when the plot surprises. A rom-com that has the capacity surprise is no small thing, and there’s a lot to enjoy with a show this gleefully playful and buoyantly amusing. The plotting though, takes a turn sideways during the inevitable crisis/separation portion of a rom-com, but my beef may just be a matter of personal taste. That Yi Sook and Hong Do share a forgotten (and traumatic) childhood connection isn’t my favourite K-drama convention at all, and it frankly felt at odds with the invention and novelty of what had come before. I was disappointed; this is a rather antiquated type of plot twist after all. Also, the considerable angst that comes after this shocking discovery is also pretty heavy, though entirely in keeping with the depth of the hurt of their unresolved traumas and the scope of the damage done by a tragedy with an underlying family secret. In the end however, if a drama had to go down this road, one couldn’t ask for a better way for it to be resolved. Their split is tackled reasonably, our pair act and respond within the bounds of their characters, and come out on the other side stronger for it, both as a couple and as individual people. I certainly can’t complain about that. That their struggle to be with each other ultimately means giving the finger to a pompous patriarch made their eventual reunion that much more satisfying. It’s also resolution that feels true-to-life, modern even, one that affirms that sometimes your best bet is to just live your life with the person you love and anyone who doesn’t like it can sod off :D.
The other couple in the drama is no less an endearing delight, with Yi Sook’s sister Se Ro (Ahn So Hee) being a particular surprise. She and Doo Soo end up being a great supporting players. But in the end, this is the Yi Sook and Hong Do show, and if you’re on board with that romance, you’ll be hard pressed to find another drama that’s as strong and irresistible as this one. Starring: Chun Jung Myung, Choi Kang Hee, Lee Jae Yoon, Ahn So Hee. heavier-than-expected melo-esque last quarter and be rewarded with a warm, satisfying end. Aiiieeee DDee, you finally rolled this one out! I always love your reviews 🙂 and this one is no exception – reminds me of why I loved the show so dearly and I totallyyy agree with you about the family/childhood/long-forgotten tragedy trope – it’s cliché and lazy, to a degree, but gotta give it to the show for wrapping it up they way they did. The drama definitely suffered towards the latter middle and meandered for a bit, but fortunately it didn’t limp to the finish line. I personally kinda wished for more kissyfaces just cos both couples are cute like puppies hahaha but overall I enjpyed H2H for what it is and and appreciate what it attempted to do. And that’s saying a lot, in my opinion ahaha !